I sometimes end up buying clothes that look really pretty or really smart or sometimes even on a whim. Once I get them home I realise how either non-wearable the width is or how impractical the neckline is. One such purchase was a top from Mango... 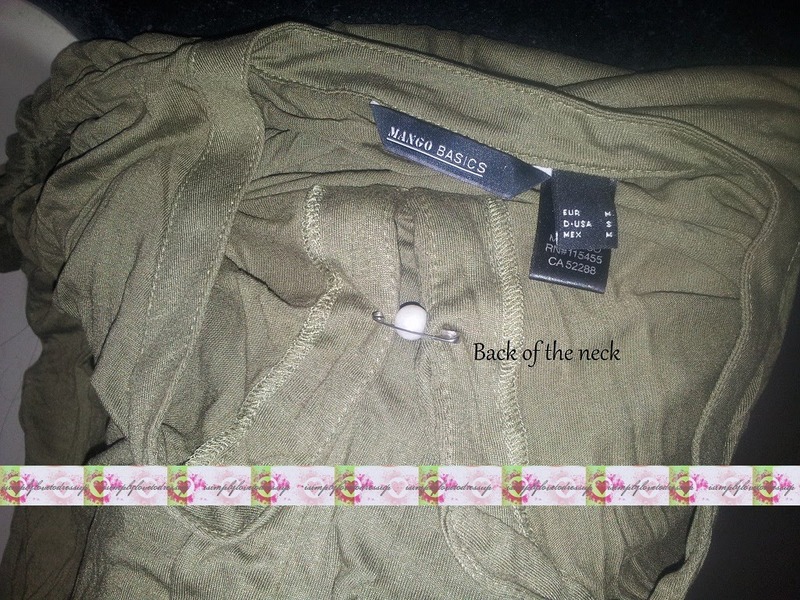 It had a really deep "slit" at the neck that went down all the way along my cleavage and since it was a size bigger as well (I was fat when I bought it), the neckline dipped further still. I took a pearl bead and with the help of a safety pin attached the in the middle of the neck slit from behind. 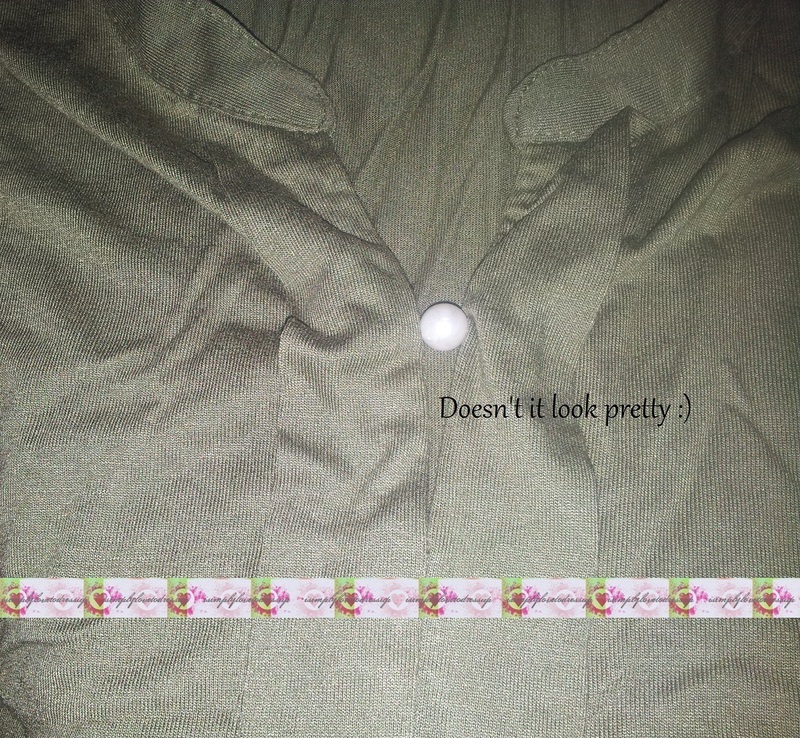 What you need to do is turn the top inside out, pierce the hemmed part of one side of the neck with a safety pin, push the pearl onto the pin and then pierce the hemmed part of the other side of the neck and finally close the safety pin! Voila!